The U.S. Senate has passed a five-year farm bill. U.S. 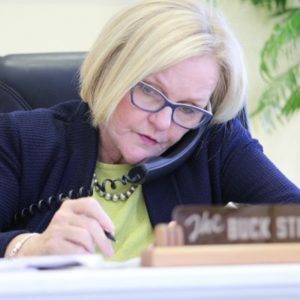 Senator Claire McCaskill, D-Missouri, says the plan headed to the negotiating table with House members does not make fundamental changes to the food stamp and nutrition programs like the House’s version does. “I hope the House accepts the Senate bill and we don’t get in a protracted fight,” McCaskill says. The bipartisan Senate bill would maintain the current commodity support and crop insurance program. McCaskill says Missouri and U.S. farmers want stability and passing a farm bill would help. “Everyone right now is on the edge of their seat and having sleepless nights over what happens next year in terms of what should they plant and what’s going to happen with these tariffs,” she says. The legislation also includes the expansion of broadband internet access to rural America. “For them (farmers) to get the very yields possible, they need to have reliable high-speed broadband. Obviously with the stresses that our producers are facing right now, with not only prices but threatened tariffs, I think it’s pretty important that we would at least give them a chance to get this important tool deployed,” McCaskill says. The measure would direct matching grants to spur rural broadband deployment, authorize $150 million annually for broadband deployment support and prioritize areas that have scarce broadband service.